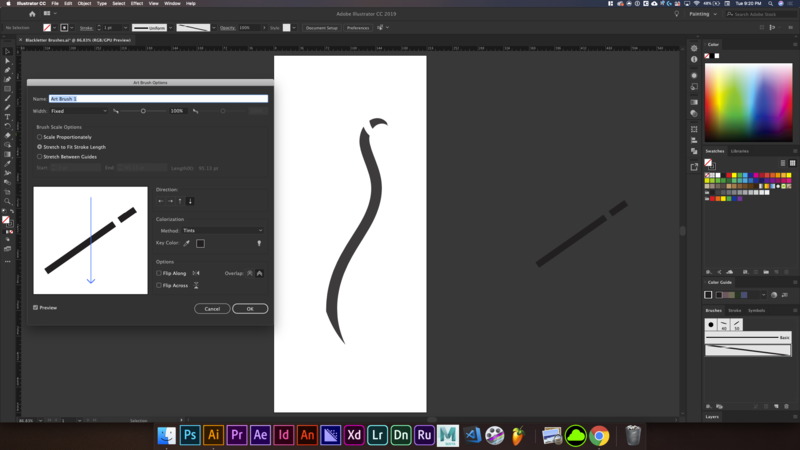 I have been trying to create this type of brush in Adobe Illustrator. This brush was created in Procreate but I am trying to get the same effect but in Illustrator instead. The bottom image is the brush I am trying to create. The image above is my failed attempt at creating the brush. 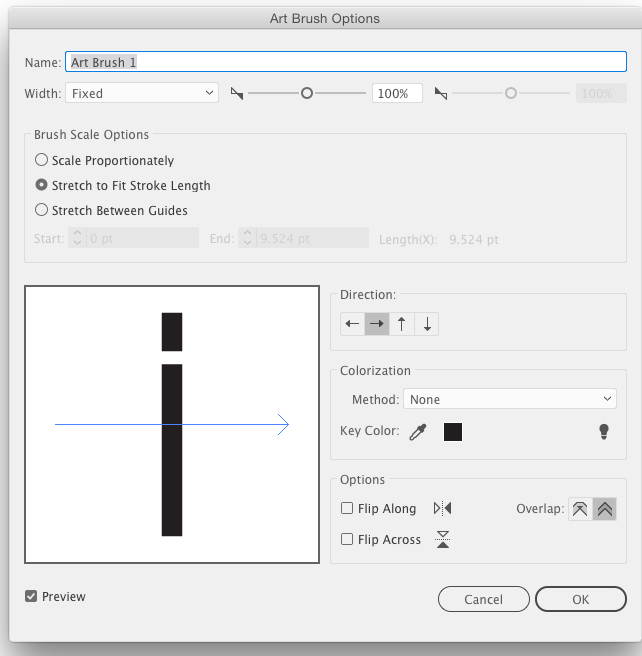 I think you can get there with a simple straightforward Art Brush. But the angle of the brush shouldn't be "built in" to the settings. 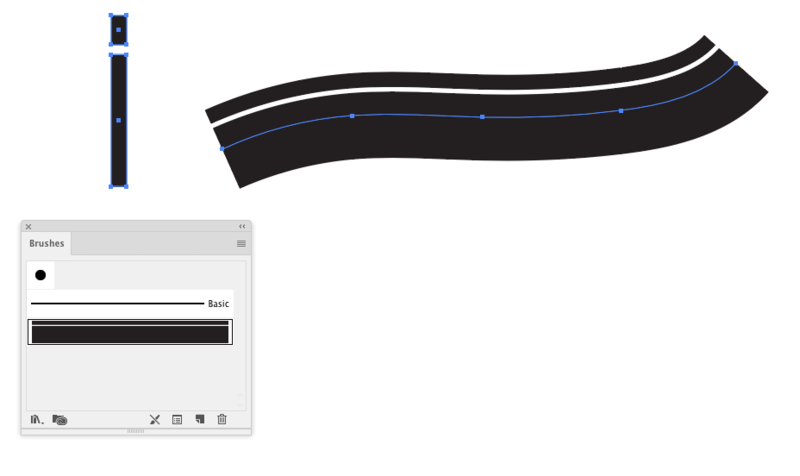 A straight brush is created, then the angle of the brushstroke is controlled by the path it's on. Two simple rectangles, dragged to Brushes and an Art Brush created. The brush is applied to the path on the right. Not the answer you're looking for? 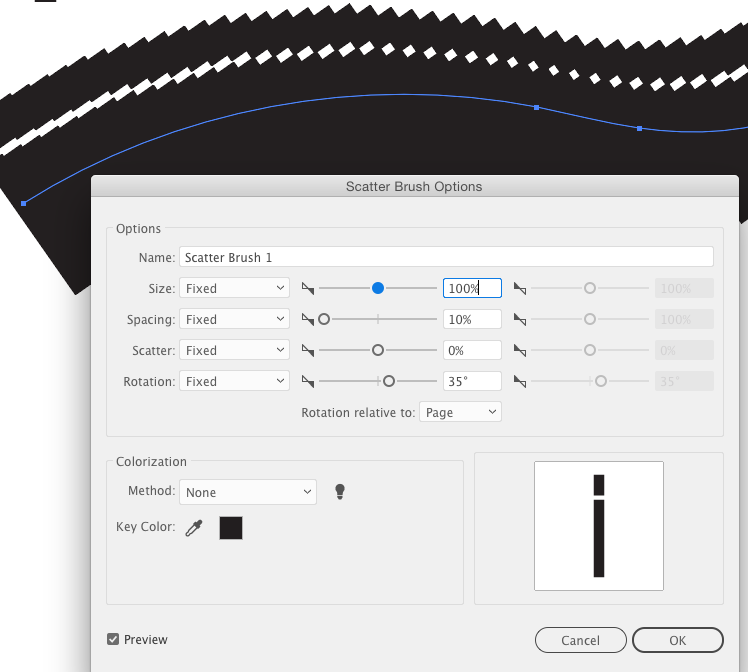 Browse other questions tagged adobe-illustrator typography brush calligraphy or ask your own question. 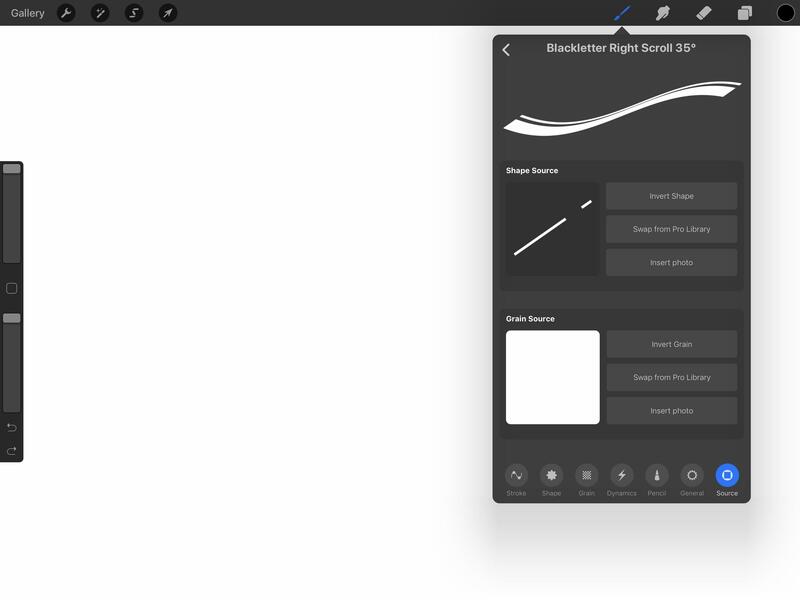 Is there a way to snap the brush to the guidelines in Adobe Illustrator?